Everytime I see people starting to bash some sort of literature, it peaks my curiosity. I start thinking, "why?" What is it about this book that threatens people so much? 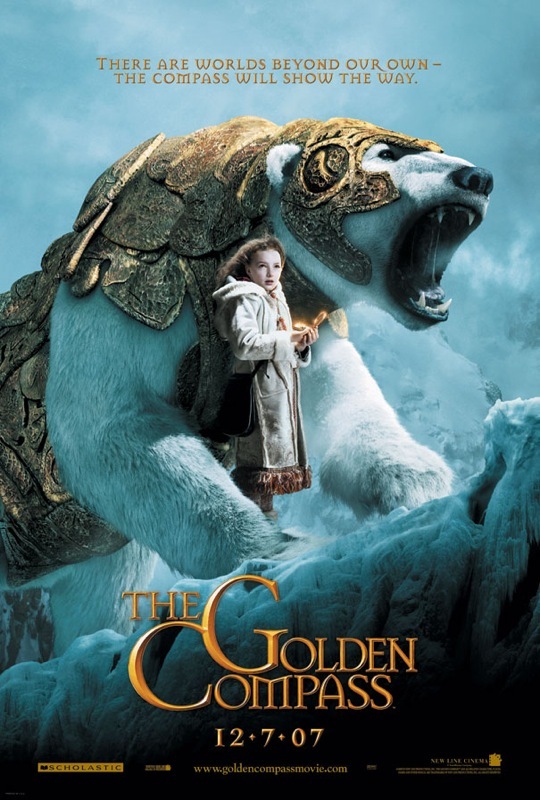 Well, I hadn’t heard a thing about The Golden Compass during my life until I heard that a movie was going to be released (based upon the book) and that there were a mixture of religious types that we warning that it was going to be the worse thing in the world. So, just like I did with The Last Temptation of Christ by Kazanzakis, The Da Vinci Code by Dan Brown, The Passion of the Christ (based upon not only the gospels but a book by St. Anne Catherine Emmerich entitled, The Dororous Passion of our Lord Jesus Christ), I felt it was time to pick up the book and get to a conclusion on my own. First of all, you need to know that when I "teach" on culture and media I say outright that NO work of Art (movie, book, play, etc.) is value nuetral. EVERYONE has something to push…a worldview…a belief system…and perspective on life. I can also say that I’ve read TONS of fiction written by people who are professed Christ-followers and have not been consistently "impressed" by their literary skill. So…with those comments out of the way, let’s say that YES, Pullman has an axe to grind. He is an athiest…everyone knows that. So, there’s going to be some "church-bashing" (sounds like he should speak at an Emergent conference – oops, did I say that?). Even so, this is a fun book. It is well-written, exciting…great characters…it is complex and thought-provoking. This is NOT a children’s book – it is clearly written for young adults and adults. You can find it in a children’s section at a bookstore but that is NOT justifiable…there is blood, death, battles…children are kidnapped and killed and, yes, there are entities to blame….er, mainly the "church" in the books. Now, the "church" in the book is NOT the actual church in history…it refers to the Church but this is a time when the papacy is over and a group of religious leaders are attempting to control history and thought (by the way, any student of history knows that this is completely consistent with what actually has happened in history…there have been dark days in Christian history when the Church DID do those things). Frankly, I liked the book…I don’t know if I’ll read the other two in the series (unless they make movies of those as well) but this one was enjoyable. There are many places to "debate" the author…he is trying to slam some sacred truths and he IS trying, through the book, to control original sin and make a push for some old fashioned "Gnostic", pantheistic, and outright non-religious ideals. That should not come as a surprise to those of us who walk the way of Jesus. By the way, wasn’t it the Apostle Paul who knew enough of the current day writings of philosopher’s to actually quote them in his letters? You see, you can’t hide your head in the sand and pray that it all blows over. I believe with all my heart that we have to help people discern culture and engage it in a "head to head" confrontation with what we know as the truth. Would I take a child to see the movie? Heck NO! I wouldn’t do it because it is rated PG-13 AND is bound to confuse them. Would I take some high school kids to it and have some good discussion afterwards? Man, that would be cool! In fact, I hope that one or more of my youth pastor buddies do exactly that! Check out what Terry Mattingly has to say about the book…read what Snopes.com says about it (Snopes is a site dedicated to urban legends and says that "true" Pullman doesn’t like Christianity)…read what Hollywood Jesus has to say about looking forward to the movie…the Homeschool crowd doesn’t like this one bit…First Things (Church and Culture Journal) does a good job outlining the series of books…I could give you more to look at but this one I can’t resist: Christianity Today posted something quickly in which Pullman (book’s author) says outright, "yep, trying to kill God". All I have to say is, "bring it on"…there have been many many many many (did I say "many" yet?) that have tried before. Unfortunately for many and fortunately for the world, "Our God still reigns". A great new book! Get it! Jim Palmer’s is Freakin’ Brilliant! Jim Palmer, author of Divine Nobodies and the new Wide Open Spaces, ran this in his blog today. All I can say is read it thoroughly…it is not only full of grace but “freakin’ brilliant”. It is pastoral, merciful and refreshing. I have felt this way and, if you were honest, you have felt this way too. Unfortunately, you and I walked around feeling guilty for these type of feelings. If only I would have received this type of encouragement, maybe I would have saved myself some serious issues. So, enjoy! I also encourage you to check out Jim’s books…they are available @ Amazon. "Taking it in the Gut!" figure it all out, now i just don’t care. he went on to say he was currently reading a book (not a “Christian” one) that was interesting and meaningful to him. things only because God is present within you. because he knows everything is rigged to draw you closer to the truth. with God now. this is all part of it. it might just be one of those most significant aspects of it. like and where you think you need to be or where “God” wants you to be. is always darkest before dawn breaks. I was just driving around town running some errands and thinking…how about a discussion with some of my friends and fellow bloggers about what makes a local church "great". I was listening to a guy on the radio talk about "great people"…he had his own criteria: successful, wealthy, popular, "pulled self up by own bootstraps" type of person, etc. In other words, to borrow some of the input going on in some of my favorite blogs currently, "greatness" defined in our culture is primarily defined from a consumeristic/economic perspective. Obviously, that makes "local church" greatness equal to what many of us have "lovingly" critiqued: big buildings, big budgets, published pastors, conferences held to tell others "the secrets" to their success, etc. If we walk away from that paradigm and have an honest discussion, what might a great local church look like without the consumeristic lens? Part of this comes from a desire to have the community group that I am a part of realize the potential that God has in mind for us. Is that potential ONLY have to do with size, money, buildings and cultural popularity? I have met many Christ-followers who long to be part of a church-plant but have as their "goal" or objective to get to a place where they get recognition, speaking invitations, and the opportunity to do seminars on how they "did it". What is a great ministry? How can we define it without falling into a capitalistic framework? You have any ideas? I’d love to talk to you about it! Much of the time, most of us think of Thanksgiving as a day to give thanks for what we have in life. I’ve done informal surveys over the years and a vast majority of people think "houses, cars, money, jobs, and other possessions" when they sit down with family and friends and ready themselves for the obligatory prayer on Turkey Day. First of all, I’m not going to be cynical about the prayer…I’m so thankful that people are at least stopping for a moment with a heart of gratitude to God (whether they acknowledge Him as true God, Savior, Lord, whatever is another issue). Let’s just say, at least there are minutes dedicated to God in every household that is upholding the Thanksgiving tradition. In my mind, that’s good. Most people though will evaluate the "goodness" of a particular year based upon the cultural criteria – good jobs, good health, successful living. Truthfully, that’s a good start…but I’d like to see more dedication of our time of Thanksgiving to God for the people in our lives who journey with us through the course of this life. Everyone of us have people in our lives that we would NOT want to live without…people who are making us what we are…people who are being used of God to shape us and mold us more into the likeness of Jesus…God does not work in a vacuum…God does work through people. So, how about thanking God for people in your life…in fact, do it now! I have to say that I couldn’t imagine my life without my wife Vicky…each of my four kids…my five granddaughters…Dave, Mark, Megs, Gary, Roy and Sally, Chanel, Kevin, Ashley, Jo, Jason, Rickard, Mark, the "Tims" in have in my life…Cory, Samuel, Levi, Linda and John, Steve, my blogging buddies…Jon, my workout pals, my friends @ Rembrandts, David, my sisters, my dad…nephews and nieces…frankly, I could go on for days. Without them, my life would not be as full and meaningful! Thank you Lord for all my peeps! Tomorrow I’ll try to post something else instead of moaning about the project, OK? My commitment to you! Seriously! Don’t laugh! I’m writing this Literature Review today if it kills me! Today, I’m sitting at my desk working on my DMin project…chapter two is the Literature Review. So far, I’ve written about half of the project and this Lit Review has been screwing with my plans to finish the entire project by the end of the calendar year. For some reason, I just can’t get this chapter finished…I’ve started it and psyched myself out time after time. So today I have thrown down the gauntlet…it will be finished today or I’ll kill myself…no I won’t go that far…but it will get down today or I’ll have to kick my dog…er, not going to do that either…I got it! It will get finished today or I’ll force myself to drink a bottle of Merlot that I’ve been saving for Christmas. That way I can drown my sorrows. How does that sound? Ok, I’m off. Let me end this post and get back to work. Mmmm, where is that corkscrew? The struggle with what to tell our Community about giving! 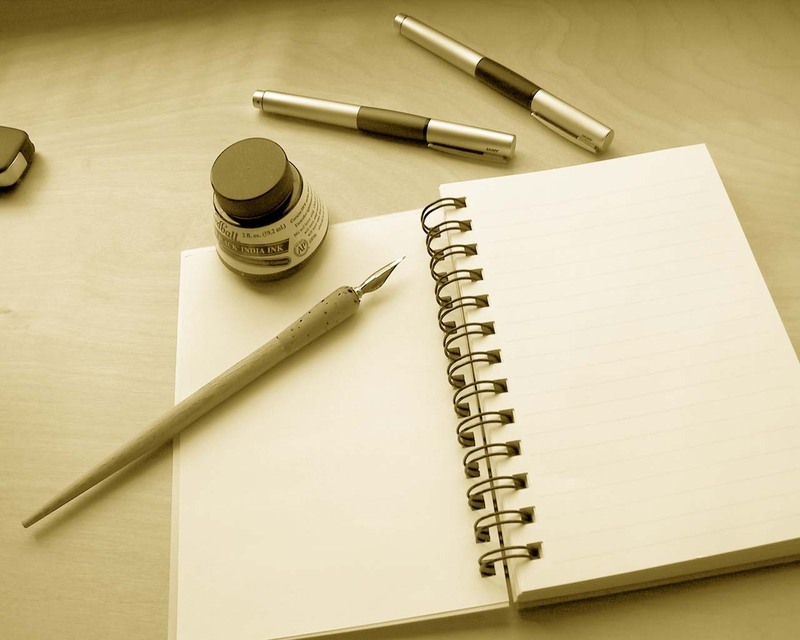 Listen to this talk…then ask yourself, "am I living a good story?". Enjoy it…I’m going to listen to it again and do some serious thinking on it. I’m in a very serious scene of struggle now…it is part of a bigger story that is not boring but is full of tension and excitement. As Don says, "I want to be part of a story that is good". Don Miller’s Talk. Re/New Community and our First community-wide gathering! Last night, @ the building of Hope Lutheran Church in Eagle, Idaho..our community "hosted" our first community-wide worship/communal gathering. We had about 30 people together in the facility…to begin with, a simple supper of soup and bread and cookies. Interestingly enough, the butter was the big "hit" of the meal. I don’t know why that is…but people were talking about it for the entire evening. Go Figure! Then we gathered in the sanctuary for a worship experience…filled with video, discussion, storytelling, music, art, scripture, confession, and a talk on the parable of the New Wineskins in Luke 5. It was a great experience and people who were with us for the night seemed to profit from our vision and commitment to missional living and Kingdom representation in the context of real life. We’re going to do these twice a month for no other reason but to have opportunities as a community to invite our friends, families, neighbors, etc. to check out our life journey and to join us in a new way of living. We also are emphatic about this not being an "us vs. them" thing…in other words, we don’t want to be arrogant in our feeling that we are "real" church vs. all those attractional, program-centered institutions…although…sorry, got caught up in my head there for a minute! Seriously, we want to affirm what God is doing in our city and through local churches that have been attempting to be faithful in their own way and context…we are simply saying, "there is another way"…if people want to check it out through the relationships that we have with them, than they are welcome to join in! All in all, it was a great experience…I’ll keep you informed!